Listen and look for the moments where you can kindle the fire of a child's curiosity. Many parents and educators are committed to developing lifelong learners, but what does this mean? How do you know if your child or student is on that track? And how we can cultivate a love of learning? Recently, I found my 12-year-old sitting in our driveway trying to start a fire with a plastic magnifying glass and a small pile of twigs. (He'd gotten permission from his dad and was being fire-safe). He'd been sitting there for 30 minutes staring at the spot of light that shone on the twigs. Nothing was happening. I asked him to hypothesize about why the fire wasn't catching, and he generated some interesting ideas. As we diverged into a discussion about fire, and as I noticed his passion and excitement, I saw endless learning opportunities generating from his curiosity. "If I was teaching sixth grade right now," I said, "I'd do a whole semester unit called, 'How to start a fire.'" His response wasn't a surprise, "That would be so awesome!" I described the unit I could see emerging, aligned to sixth-grade standards. 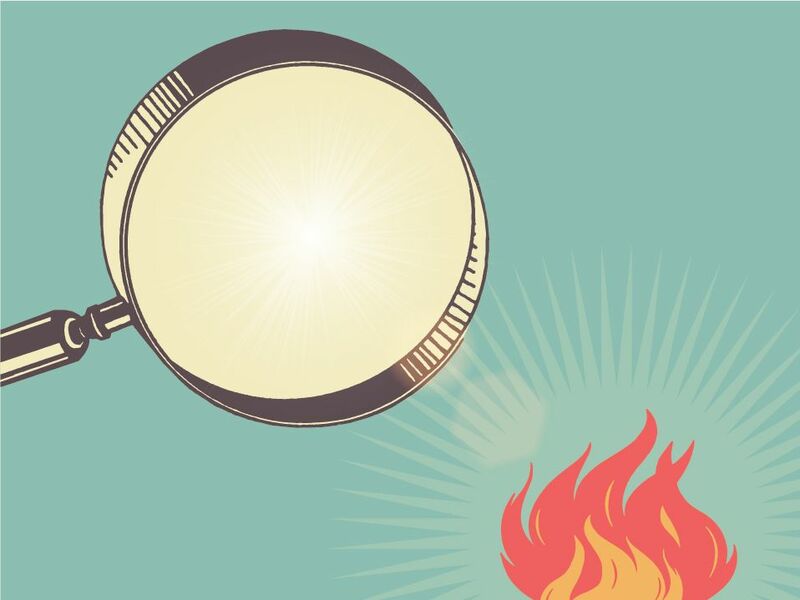 We'd explore the science, of course, and we'd also look at the role of fire in history. I recently watched a documentary with Michael Pollan based on his latest book, Cooked. In the first episode, he explores how fire is connected to the development of our species because it allowed our ancestors to cook their food, thereby getting way more nutrition, which allowed our brains to grow -- and the rest is history. As I described this documentary to my son, his questions continued, interrupting as I explained the unit I was day dreaming of: the myths we'd read from around the world about fire, the way we could integrate arts into this unit, the way we'd learn about how wild fires affect communities. "How many questions do you think you have, or could generate, about fire?" I asked him. "A thousand," he said without hesitation. "No, ten thousand," he quickly corrected himself. This is the curiosity that when nurtured, captured, and directed results in a love of learning. This, I believe, is the primary role of a teacher -- to capture curiosity and ignite the internal fires of learning. The first step for parents and educators to cultivate a love of learning is invite questions, and then chase them. Chasing questions means following them to find the other questions that emerge from an initial question. We can say this to our children: "What else do you want to know? What else does that make you think of?" We can praise their questions, "Interesting idea. I like that question." We can refrain from answering their questions, even if we know the answer: "I appreciate that question. What do you think? Why do you think that happens?" The more we encourage questions, the better. If we're in the classroom, we can keep lists of students' questions posted on a wall. We can reference their questions. We can remind them of what they want to know when they have options to make decisions about their learning. And offering choice is a key strategy to cultivate a love of learning. In order to become lifelong learners, our students need opportunities to pursue their curiosities and interests. Some schools and districts encourage teachers to design units of study that align to standards and are responsive to student interests; in other schools and districts, curriculum is more tightly defined and teachers have less voice about the choices they can offer students. While I acknowledge the different contexts in which we work, I also encourage teachers to identify every opportunity for kids to make choices about their learning. Perhaps there are reading opportunities where kids can explore their questions; perhaps writing assignments can offer choice. As you go about planning and delivering instruction, keep this question in mind: "How can I offer my students opportunities to direct their own learning and follow their curiosity?" You might find more moments than you expect. The moments to cultivate a lifelong learner might be found at the dinner table, or when you're driving your kid to school and you hear something on the radio. Those moments might be found when you're walking your class to lunch and a student asks a question about the weather. Listen and look for the moments where you can kindle the fire of a child's curiosity. There are so many every day, and each of those can generate countless of questions. What are you curious about right now? Please share in the comments section below.